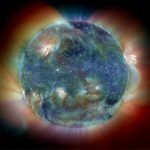 Who first recognized the 27-day aurora recurrence cycle? 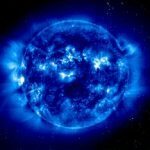 Electric currents from the sun? 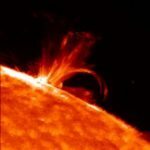 This is a growing collection of biographies and comments about the history of space weather research, including unsung heroes and interesting historical trivia. – Every clear day since 1853, the wealthy and middle-aged, Richard Carrington had patiently opened his private observatory in Redhill to let the sunlight stream through his instruments. His father was the owner of the Royal Brewery in Brentford, and by all accounts the family, including his younger siblings David and Esther Fanny, were collectively quite wealthy. After a three-year stint at the Durham Observatory, Richard decided to use some of his familys wealth to build his own manor house and attached observatory at Redhill in 1852. A transaction of family wealth of this magnitude is hard to imagine without a parental death in the family serving as the catalyst. But though his father had preferred Richard study for the ministry, he supported his change of career in college to matters of science and astronomy. The main house built on Furze Hill on the old Gatton Estate, was a two-story brick colonial with ground floor bay windows facing a fenced-in front yard. The low shrubbery demanded only the lightest of maintenance on a property that had little time for such things. Three fireplaces provided abundant warmth to the occupants. A large lounge room occupied the east-side of the ground floor with a magnificent fireplace and sitting area. Across the central hallway was the west-side Dining Room, Butlers Pantry, Kitchen and Scullery. The second floor held the master bedroom with its fireplace, and guest rooms. An attached single-floor building shared the east wall with the Lounge. It featured a large library and computation area, a central transit room with its sliding roof, and the observatory. The dome of the observatory sat atop the building on its far-east end, and was accessed by a spiral staircase in a hallway leading to the transit room. The telescope was an expensive masterpiece of engineering for the time, built by the master optician Mr Simms who as Carrington noted has not been unmindful of his well-earned reputation The massive piers of the [transit] telescope rested on a thick slab of York flagstone, laid on a considerable mass of concrete. The north and south walls were of stone, 14-inches thick, and without windows. The observatory was bounded on both sides by occupied rooms with fireplaces on opposite sides. Without windows, the observatory favors the generation of spiders. 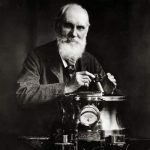 One can wonder that the life-threatening, ill-health that dogged Carrington in his later years sprang from the dimly-lit, mold-infested observatory confines he had fashioned for himself at Red Hill. Richard often found his solitary studies of the sun interrupted by his responsibilities in running the Royal Brewery. Some of the bookkeeping work could be carried out from the Redhill Estate, known as The Dome to local residents, but all too frequently he had to catch the train to Kew and walk the short mile to the Brewery to administer to tasks in person. The Royal Brewery at 23 High Street lay on the southern side of Brentford not far from the bridge over the Thames River that led to the spectacular Kew Observatory. It was one of the largest breweries in town and produced over a million gallons of ale serving a hundred pubs in its heyday. In the middle of vast barley and corn farms, there was no lack of raw materials for making ale, nor a lack of clients to consume it. Still, despite these frequent trips, the life of an astronomer was solitary and quiet. For an hour or two around midday, he made his observations and recorded them carefully. At first, it must have been exciting to view the sun each day to see if a new spot had materialized. Like Christmas, what new blemish would rear its face under the solar tree? As time wore on, however, the novelty abated into a grim sort of drudgery. After a thousand days of meticulous study, one spot tended to look much like the rest. Yet Richard had to stay sharp, and not let the tedium dull his faculties for registering even the slightest and most insignificant detail. He was a scientist, and his craft demanded no less. On Thursday August 26, sunlight completed its journey of 93 million miles, passed invisibly through the aperture of Carringtons elegant telescope, and exited a few meters later onto a large white screen. Richard carefully watched the shadow of the vertical wires that neatly bisected the suns eleven-inch disk on the screen. In the windowless and often dank observatory room, his expensive chronometer ticked out its measured cadence on the cold stone wall in the background. As a sunspot touched the wire and passed across, he carefully noted the event and its time in his log book. The noisy din of traffic from Redhills encroaching business district sometimes made the chronometers tock-tock-tock hard to hear. But despite the din, he had no choice in the matter. His observations demanded that his observatory be fully opened to the sun, and whatever noises might sneak in. – Unlike the countless thousands of aurora that have graced the skies since the dawn of civilization, the 1859 exposition of the aurora borealis was unique because of the many details we know about it. It is a circumstance that is largely the legacy of Prof. Elias Loomis. His passion for aurora, and for their unique magnetic personalities, had begun 25 years earlier soon after graduating from Yale. Like other scientists before him, he was fascinated by the magnetic variations in compass needles. For 14 months he spent his hours between 6 AM and 10 PM making measurements of these mysterious changes in Earths magnetism. This was one of those rituals or indoctrination in which nearly all serious investigators of aurora had claimed to have participated, much as building a telescope was often a similar rite of passage for would-be astronomers. 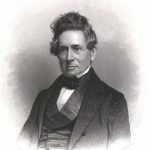 Elias Loomis, born in Willington Connecticut in 1811, has been all but lost to the modern literature of the history of science in the 1800s. His obituary in a then-young journal called Scientific American exhaulted his standing in the community of meteorologists, and declared that among the pioneers in the study of meteorologythe name of [Elias Loomis] must ever be classed. He was very much the Polymath, as comfortable in mathematics and astronomy as in meteorology and genealogy. In his time, he produced over 100 professional articles, and 13 books on mathematics and astronomy, and enjoyed professorships at Western Reserve College and the University of the City of New York, and Yale. In his time, he had worked with Prof. Alexander Twining at West Point to study meteors, and with Prof. Denison Olmstead at Yale to be the first to discover the return of Halleys Comet in 1835. 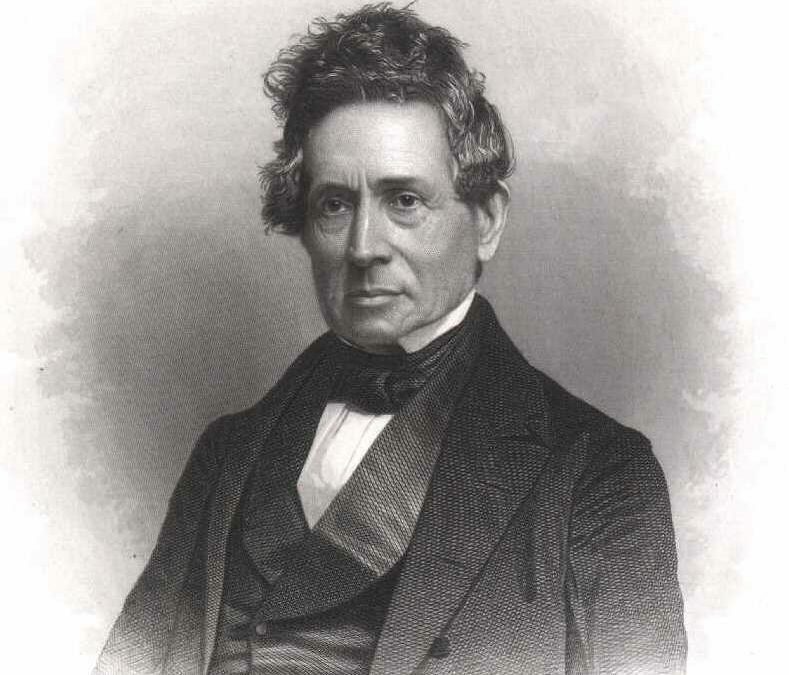 Later in 1848, he was offered the position at Princeton University that had just bee vacated by Joseph Henry (1797-1878), who was on his way to assume the duties of Secretary of the Smithsonian Institution in Washington DC. When he was not conducting research at the forefront of astronomy, mathematics and meteorology, he continued his weekend passion of cataloguing everyone in North America who were descendants of Joseph Loomis. After 40 years of work, his list included no less than 27,000 men and women. Sadly, though he watched the massive tapestry of descendants unfold and weave long threads into the future, his own lineage would end with his two sons Francis (b. 1842 ) and Henry (b. 1853) who remained childless. When asked by his friends why he had undertaken this exhaustive life-long tabulation he could only reply that he, too, thought it a strange preoccupation and could offer not a single explanation for this consuming interest. Yet, for someone who had spent 14 months patiently recording the position of a compass needle every hour on the hour, 14 hours a day studying auroral magnetism is not such a surprising extension of the same meticulous and relentless personality. Following the death of his wife, Julia , in 1854, Elias was free to isolate himself even more thoroughly in his work from then on. sunspots were seen on the sun’s eastern limb. 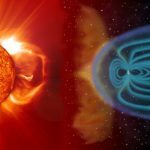 The resulting magnetic storm onsets which happened very suddenly provided a measure of the rotation period of the sun, which worked out to be 26.3 days. Curiously, the discovery of this 27-day reoccurrence time for auroras is routinely credited to Edward Maunder in 1904. In 1902, Birkeland became a staunch promoter of his idea that electron currents from the sun were the direct cause of auroral and magnetic activity, but this wasn’t an entirely original idea by this time. Jean Jacques Mairan, a French physicist, in 1733 announced with confidence that aurora were caused by the sun’s atmosphere which flowed to the earth in varying amounts where it was caught and dispersed to the poles. He even claimed that the dark spots seen by Galileo were related to aurora as ‘condensations’ of this solar atmosphere. (Aurora: The mysterious northern lights, p. 61). In almost direct analogy to Birkeland’s idea was the one proposed by Alex Adams in 1883, but which by 1902 had become lost in the literature. Alex Adams, writing in the 1883 issue of the Journal of the Society of Telegraph Engineers and Electricians ( vol 12, p. 39) made an interesting proposal for the origins of magnetic storm events as this cycle got underway. Since electric surges on telegraph wires occur at about the same time no matter where they seem to be in the world, this suggested to him that the cause of these disturbances was not to be found in atmospheric conditions, but must have their origins in some more distant extraterrestrial agency. Sir William Preece had previously considered that sunspots were in some way responsible, but the onset of the storm was not simultaneous with the appearance of a spot on the sun. To explain this, Adams conjectured that there was something about the geometric orientation of the spot that mattered if the spot were the origin of an electric current which produced the magnetic storm effect. It wasn’t a bad idea, because at that time some quarters of the scientific community thought that sunspots were openings in a luminiferous solar atmosphere into a deeper, darker mass of the sun. All Adams added to this was that this deeper surface was a source of ‘electric rays’, and that depending on how well the opening presented itself face-on to the earth, the earth would receive more or less of these rays. When the spot was broadside to the earth, conditions would be optimal for a magnetic storm event within a few days of the spots transit time across the sun’s central meridian. What was interesting about Adams’ proposal was that it was accompanied by a delightful figure showing the purported electric currents from the sun striking the earth, and a modern solar physicists would be quite hard pressed not to recognize this figure as one which routinely appears in contemporary research articles on the solar wind and the so-called ‘coronal mass ejections’. As for Adams’ idea, it was met with silence. The similarity between auroral lights and the glows from artificial, high voltage discharge tubes were also studied intensely by Prof. De la Rue in 1881, and rediscovered over 30 years later by Kristian Birkeland with his Terrella machine.